where the wild things are. no.15. eggs and ramp. easter breakfast. What a gorgeous day it was here in New York! Spring has finally arrived and ramp season is in full swing both in the city and the forest. 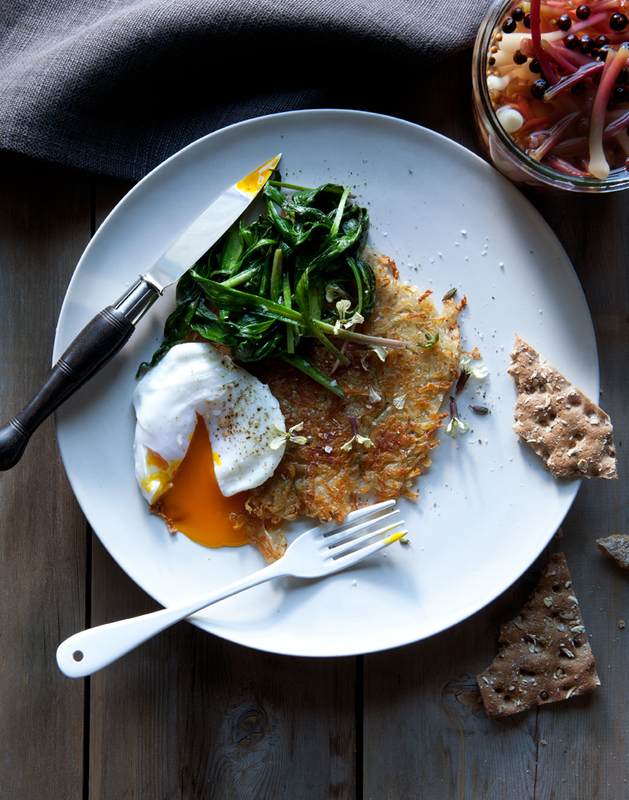 We celebrated by making poached eggs over rosti with sauteed ramp greens. (the greens were left over after making pickled ramps. The greens have a soft woodsy taste. I don't find ramps to be especially strong in flavor despite their intense onion aroma) The Green Market at Union Square this week was such an inspiration. I couldn't help but to pick up these beautiful organic eggs to accompany the ramps we gathered on our land upstate. Gently peel back the lower outer most layer of the ramp and discard. If the roots are on the ramps the outermost layer can be a bit transluscent and slimy, this is what you want to get rid of! Cut the hairy root ends off the cleaned ramps and discard. If you are using the bulb end of the ramps for pickling, cut them just above the pink stem, This will give you the bulb end for pickling and the green for sauteeing. You could opt to just sautee the whole cleaned ramp if you wish. I did it this way because I was using the bulbs for pickling. Pat the greens dry and and plop them ino a large cast iron skillet. Toss the greens over low heat until JUST wilted. do not overcook. 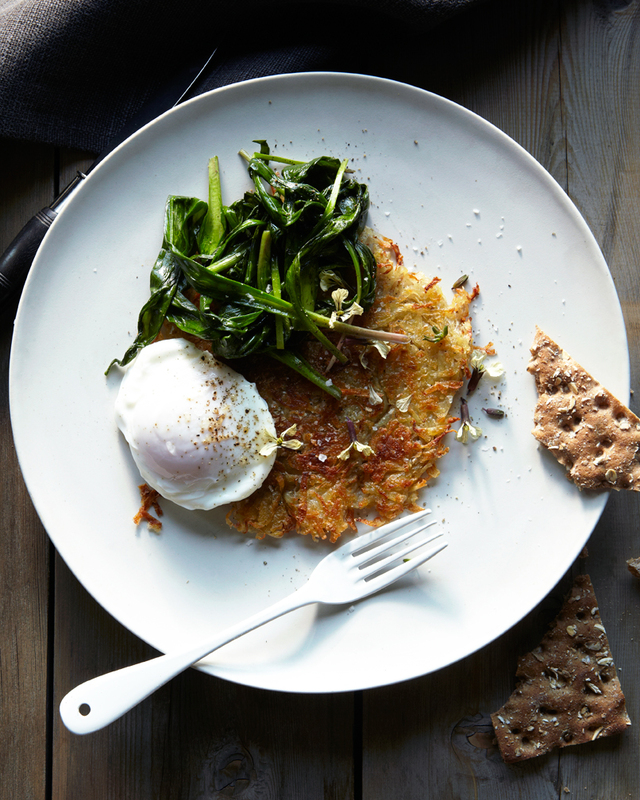 Serve over rosti with a poached egg or on any grain or toasts. Eat them any way you would a wilted spinch.